Make sure the television is properly connected to the correct component video ports of the Digital Media Extender. Visit the website of Consumer Electronics Association for detailed instructions and illustrations in connecting the devices together. NOTE: This article assumes that you have already accessed the Digital Media Extender’s web-based setup page. Press the right arrow on the remote and select Video. 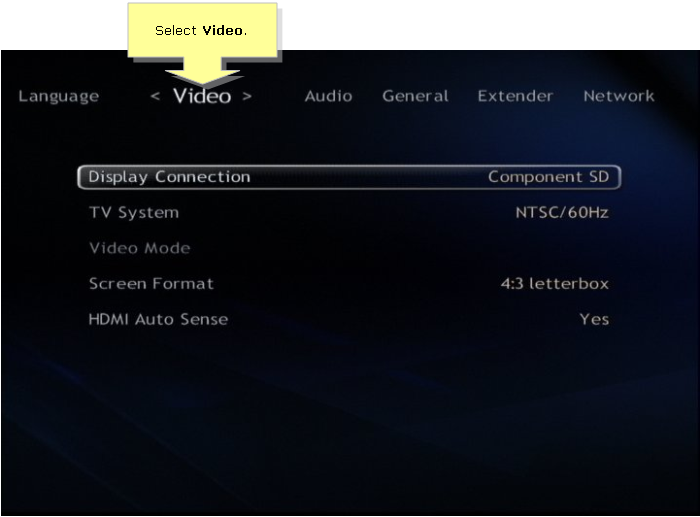 NOTE: If you are not sure on what video settings to select, contact your TV manufacturer. Make sure the Display Connection selected is the type of connection your TV supports. NOTE: In this example, Composite Video is selected. Usually, TV’s with HD format comes with HDMI or Composite cable. 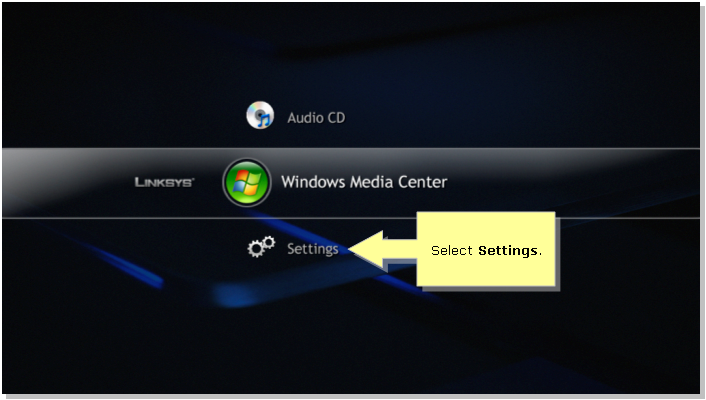 Go to TV System and make sure the system selected is supported by the TV. NOTE: NTSC is the system used in USA and Japan while PAL is the system commonly used in Europe. In this example, NTSC is selected. Go to HDTV Resolution and make sure the type of resolution (480p, 720p, 1080i, or 1080p ) you select is what the TV supports. NOTE: In this example 480p is selected. Go to Screen Format and make sure the format selected is supported by the TV in order to display the widescreen video correctly. NOTE: In this example, 16:9 widescreen is selected. • HTTP AV Streaming - MPEG-1 & MPEG-2 - play, pause, stop, seek forward 30s (+/- 3s), and seek backwards 7s (+/- 1s).